Ever wonder how the pros can spend an entire day at the field flying when an average 4S LiPo lasts no more than 5 minutes in a miniquad? The answer is not (just) that they own a lot of batteries - it's that they use parallel charging. 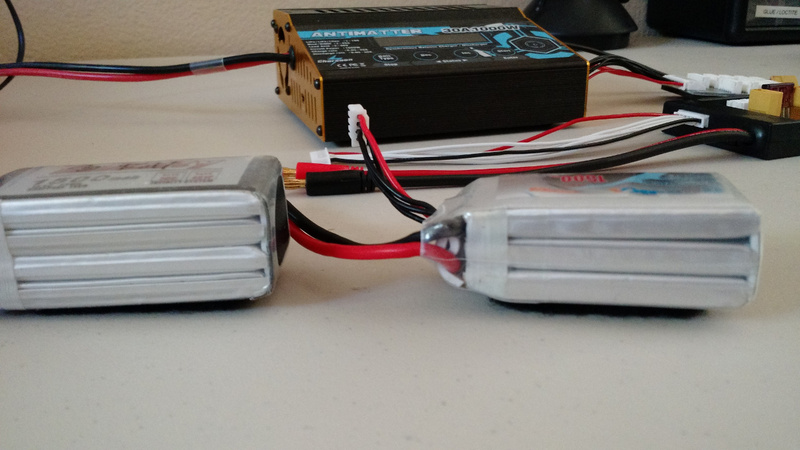 Parallel charging allows you to use a single high quality charger to charge multiple LiPo batteries at once. If you want more flight time and less downtime at home, you should consider putting together a parallel charging setup. However, parallel charging is a polarizing topic in the community. Parallel charging is more risky and error prone than plugging a single battery into a charger. 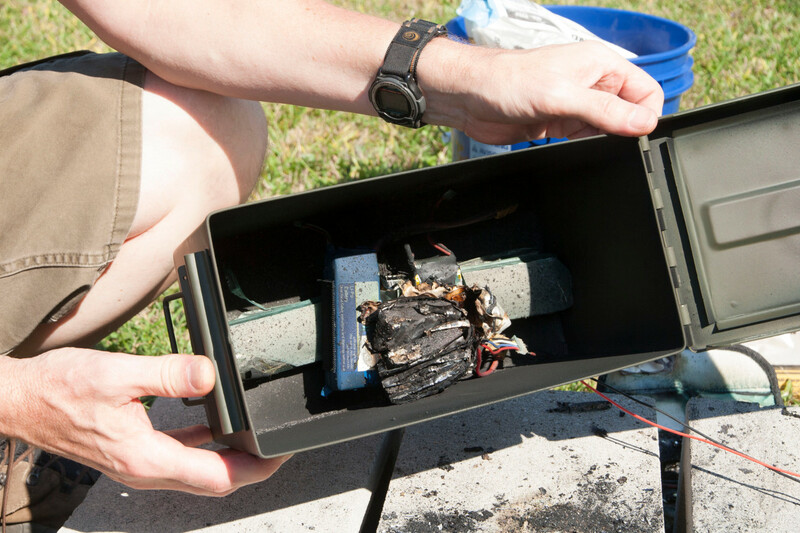 Failure to follow the correct steps and safety measures can result in damaged batteries or a LiPo fire. If you are thinking of attempting parallel charging, we highly recommend you read this guide in full. 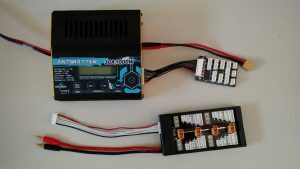 Connecting your LiPo batteries to a parallel board basically turns your individual LiPo batteries into one big LiPo battery. As you charge, the electrical current distributes itself automatically to all of the batteries on the parallel charging set-up. This allows us to quickly charge all our batteries at once using a higher amperage. This can be dangerous, as connecting each additional battery normalizes voltage across the other batteries on the board. 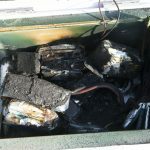 If you plug in different type of batteries, or batteries with vastly different voltages, you can quickly exceed the safe charge rate for other batteries on the board and cause a fire. Thus, extreme caution and attention to detail must be followed when undergoing this process. You need a parallel charging board (also referred to as “para-board”) to parallel charge your batteries. We recommend purchasing one that includes fuse(s) and a plastic enclosure. 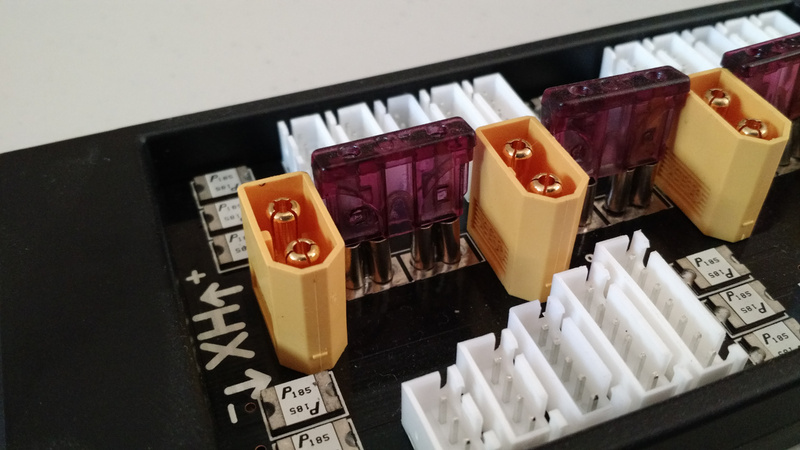 You can get very cheap parallel boards consisting of only an exposed circuit board and XT60 connectors, but we recommend not going the cheap route here. Due to the very real risks in this process, you should spend the extra few dollars to get a quality para board. Expect to spend $15-30 for your para-board. Some parallel boards have multiple fuses for added protection. Weyland XT60 LiPo Parallel Balance charging plate (Amazon); Charge up to 6 batteries at the same time, with an expansion port if needed. One fuse. Amass XT60 Parallel Charging Board (Banggood): Budget parallel board that can charge 6 batteries at the same time for under $15! You absolutely must check the voltage and cell balance on each battery before attempting to parallel charge. A multimeter will suffice, but is cumbersome to use for this process. Since speed is the name of the game when it comes to parallel charging, get a battery capacity checker. These can be had relatively cheaply, and come with some extremely useful features. Expect to spend anywhere between $3-15 for a battery capacity checker. 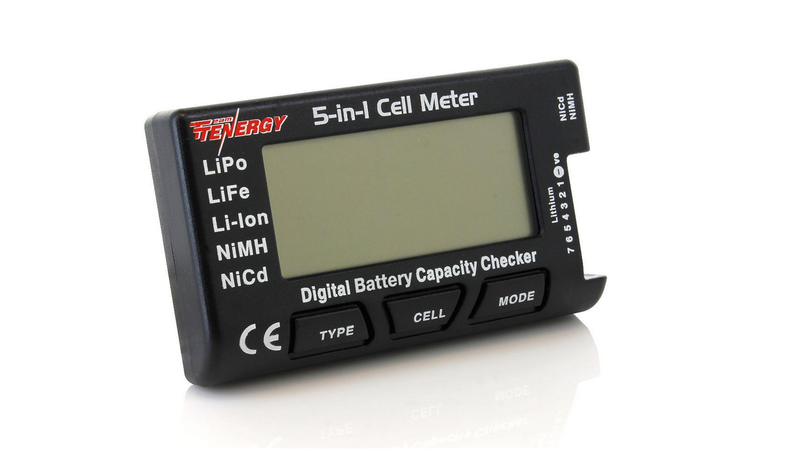 A battery capacity checker can be an inexpensive gear addition with many useful features. This Tenergy 5-in-1 capacity checker will check capacity, balance, discharge, and more for only ~$15 shipped from Amazon! For the extremely budget conscious, you could get a bare bones battery voltage tester for around ~$3 from Banggood. Parallel charging is considerably more risky than normal charging due to the added factor of human error. Make especially sure you have an safe area to charge your batteries. If you are the type of guy who charges on your bedroom carpet, this method is not for you. At the very least, contain your batteries to prevent any spread of flame in case of a fire. We highly recommend either a metal ammo box or a Bat-Safe to hold your batteries while charging. If you do go the ammo box route, be sure to drill vent holes or remove the inner rubber seal before using. This will help prevent turning your ammo box into a pipe bomb. 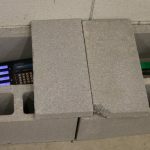 Keep in mind that ammo boxes will get hot if a battery explodes - for indoor charging, the Bat-Safe is probably the best product on the market. Better safe than burned down house. Do not rely on "LiPo safe" bags for this process. Our own testing has shown them to be ineffective at protecting against LiPo fires. Moreover, we recommend keeping a fire extinguisher nearby in case anything goes wrong. Remember, most consumer fire extinguishers will not put out a chemical LiPo fire. In case of fire, use the extinguisher to control the spread of the flame until the battery burns out. Expect to spend $15-50 on fire protection. However, we hope that you put these type of controls in place regardless of the type of charging you are doing. Incorrect solo battery charging, while less risky, can still be dangerous in an unprotected environment! As long as you get your settings correct, most well reviewed chargers on the market can be used for parallel charging. However, the more powerful the charger, the more batteries you can charge at an efficient charge rate. A quality charger should have no issues parallel charging a bunch of batteries! Interested in charging a ton of batteries? Check out our Charsoon Antimatter review for an absolute beast of a charger. These are the golden rules of parallel charging. 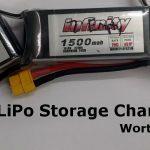 Follow them every time you parallel charge your LiPo batteries. DON’T MIX BATTERIES OF DIFFERENT CELL COUNTS: Only parallel charge batteries with the same cell count. Similarly, only charge the same type of battery (don’t mix between LiPo, NiCad, NiMH, etc.). DON'T MIX BATTERIES WITH DIFFERENT CAPACITIES: Only parallel charge 1300mAh batteries with other 1300mAh batteries. DON’T CHARGE BATTERIES AT VASTLY DIFFERENT CELL VOLTAGES: Measure all batteries before charging and only parallel charge those within (0.1 * cell count) volts of each other (e.g. for a 4S battery, each battery should be within 0.4v of each other). DON’T PLUG BALANCE LEADS IN THE WRONG PORT: This may sound obvious, but due to the construction of most parallel boards, it can be very easy to accidentally touch a 3S lead to a 4S port, or a 4S lead to a 5S port, etc. Be careful when connecting your balance leads – take your time. TAKE SAFETY PRECAUTIONS: Charge in a safe location, use a battery bunker, and NEVER leave the charger unattended. Be careful when separating batteries. It can be easy to mix 3S and 4S batteries if you fly both. Also a good time to check for battery health and any damage! 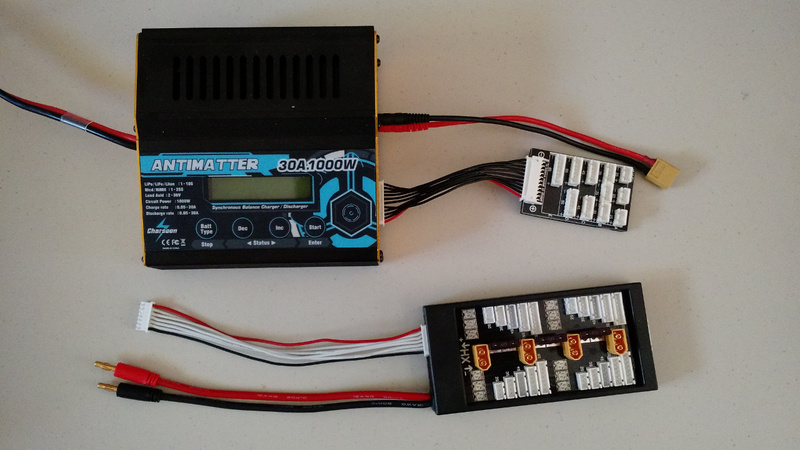 Ready to learn how to parallel charge a LiPo battery? Here is our step by step process. We highly recommend that you fully complete each step without interruption before moving to the next. Need a bathroom break while checking voltage? We recommend starting that step completely over rather than trusting your battery piles are correct. Remember, failure to follow these steps correctly could permanently damage your batteries or start a fire. Attention to detail is paramount here. Setup your charging station. Ensure you are in a well-ventilated space and have adequate protection for battery charging. Remove any nearby flammable materials and have a fire extinguisher nearby. First, make sure you are charging batteries of the same type and cell count. No LiPo and NiCad, no 3S and 4S, etc. Check and double check that every battery matches. Failure to follow this step likely WILL result in battery destruction. Check the voltage of each battery to ensure that they are within (0.1v * battery cell count) of each other. So, for a 4S battery, you want to make sure that they are within 0.4v of each other. If you own a cell balancer, we recommend you check the individual cells as well to verify that the gap between the lowest cell voltage and highest is not more than 0.2v. What happens if you have a rogue out of range battery? Put it aside and solo charge it (or combine it with other similar batteries and parallel charge them separately). 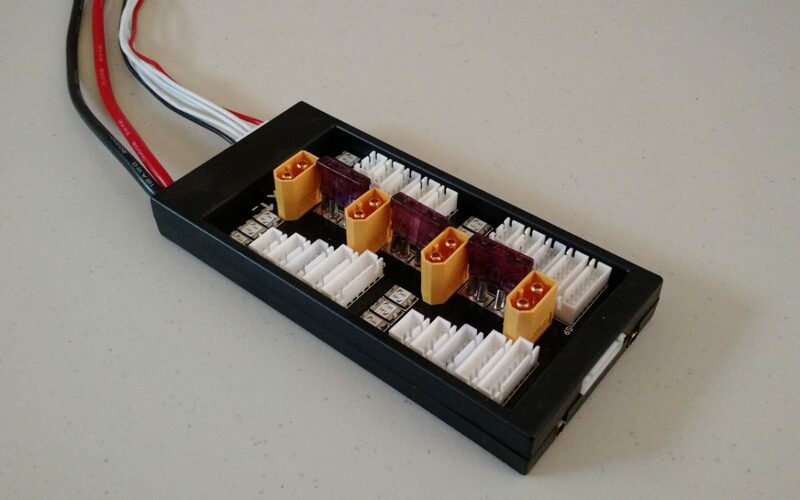 Connect your parallel charging board to your charger. Most para-boards come equipped with banana plugs that fit into your charger. Simply remove the existing cables from your charger and connect the para-board’s in their place. Remember, positive (red) to positive (red) and negative (black) to negative (black). Next, connect the balance lead from your para-board into the appropriate connector on your charger. 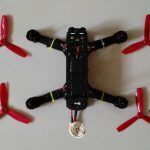 If your para-board supports up to 6S batteries, then the balance lead from the para board is likely a 6S balance lead. Therefore, you would plug that 6S para-board balance lead into the 6S balance connector on the charger. Turn on your charger. Make sure that the charger powers up correctly with no warnings or errors. One by one, connect your batteries to the para-board. You should plug your discharge leads in first (the cables with the XT60 connector you attach to your quad) for every battery and then plug in your balance cables after. When plugging in your balance cables, be careful to plug them in slowly and correctly. It is very easy to accidentally brush by the wrong port and set off sparks. Take your time and carefully connect each balance lead one at a time. The order of your balance cables on the board doesn’t matter, however the orientation of the connector does. Most modern batteries can take some pretty high charge rates, but we still recommend charging at 1C for day-to-day use. To figure out what "1C" means, simply multiply the number of batteries by their mAh, and then divide by 1000. Thus, if you are charging four 1500mAh 4S batteries, you would set your charger to 6.0A ((4*1500)/1000). If your batteries have different mAh capacities, you need to add them together individually instead, then divide by 1000. More details can be found in our “Other tips” section below if you need more help. Set your charger to its “Balance Charge” setting, select the battery type, and cell count. As always, double and triple check this to prevent any issues. Use the number you calculated in the previous step as your charge rate. Check, approve the settings, and let the charger start charging. As we mentioned above, you should remain nearby to monitor and react to any unforeseen issues. We like to touch each battery after about 5 minutes of charging to check the temperature. 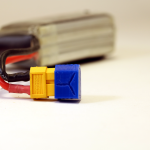 A charging LiPo should never be warmer than it's surroundings and should never puff or emit odors. If it is doing any of these things, stop charging it immediately and figure out what is wrong! Once you hear the charger signal that your batteries are charged, you are all done! Remove the batteries one by one and get flying! They should all be at the same voltage now, so you should not need to worry about rapid swings in voltage while unplugging your batteries. Try and charge batteries around the same mAh, age, and C rating. You CAN parallel charge batteries at slightly different values of these, but use your best judgement. For example, if you have one 4S battery at 1500mAh and another at 1600mAh, you should be fine. However, as we drilled in above, never mix battery types, cell counts, or large voltage variances. If you do parallel charge different mAh capacity batteries, our charge rate calculation changes slightly. You would add all the individual battery mAh together rather than multiplying. The simple multiplication calculation above only works if you are parallel charging batteries that share the same capacity. Most voltage variance issues are solved at the field. Set a flight timer, use your OSD, or set an alarm to make sure you fly relatively consistently each pack. Your punishment for failing to do this is solo charging these rogue voltage batteries! Parallel charging might sound scary, but if you follow the steps above it can be a great way to charge multiple batteries quickly. If you are serious about getting in field time, it can greatly reduce downtime sitting around waiting for batteries to charge. Moreover, if you fly with a group of friends, para-board charging is a must for multiple flight sessions in a day. Stu from UAVFutures also put together a great charging guide on his channel.